Lori Fasano grew up in the neighbourhood of Elmwood in Winnipeg, Manitoba. While attending Elmwood High School, she had a part-time job as a cashier at Brown’s Drugstore, her first exposure to the business of pharmacy. It was her mother who suggested she study pharmacy at university, because she enjoyed that job so much, and she graduated in 1982 with a BSc Pharmacy from the University of Manitoba. 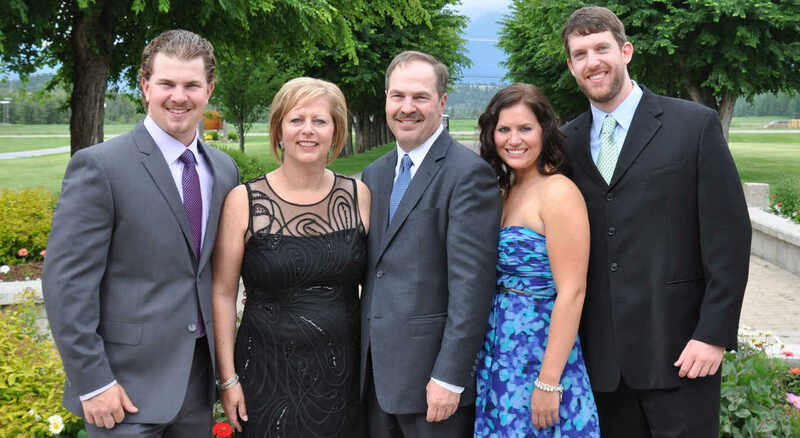 Lori and her family moved to Ontario in 1997, where she began working for Zellers as Regional Pharmacy Manager and was responsible for Special Projects. In 2000 she joined Sobeys as Director, Pharmacy Operations for Ontario, and eventually added Western Canada to her responsibilities. At Sobeys, she helped establish the pharmacy business from the ground up and oversaw 22 new pharmacy openings. Lori’s reputation of integrity in the retail pharmacy industry and her experience at growing pharmacy sales led her back to Zellers in 2005, when she was appointed to the position of General Merchandise Manager, Pharmacy. There she was responsible for the merchandising and pharmacy operations of 225 pharmacies operating in Zellers and Hudson’s Bay locations across Canada. With her strategic direction she helped build Pharmacy into one of the most successful departments in Zellers. In accomplishing this, she effectively led a team of nine direct reports over those seven years. When Zellers was sold in 2012, Lori was asked to lead the team responsible for transitioning Zellers pharmacy business to various companies, working through the negotiations to successful completion. Throughout her career, Lori has been recognized as a result-oriented pharmacy executive with diverse skills complemented by a successful track record in running a chain of pharmacies. She has also been known as a fair and compassionate leader who genuinely cares about the people with whom she works. Her obvious no nonsense business style often masked her sense of humour, which was quickly recognized by her close friends. During her career, Lori has been actively involved with several professional associations including the Ontario College of Pharmacists and the Canadian Association of Chain Drug Stores, where she was most recently Council Member, and she has been a member of the Manitoba Pharmaceutical Association for over 30 years. Lori currently lives in Mississauga with her husband Dave and their children, Alison and Scott. She is passionate about her family and sports, most notably hockey. She loves decorating and interior design, and she is a trusted, loyal friend to many.